…but the announcement also brought another new poster with it, so you get a two-fer today. 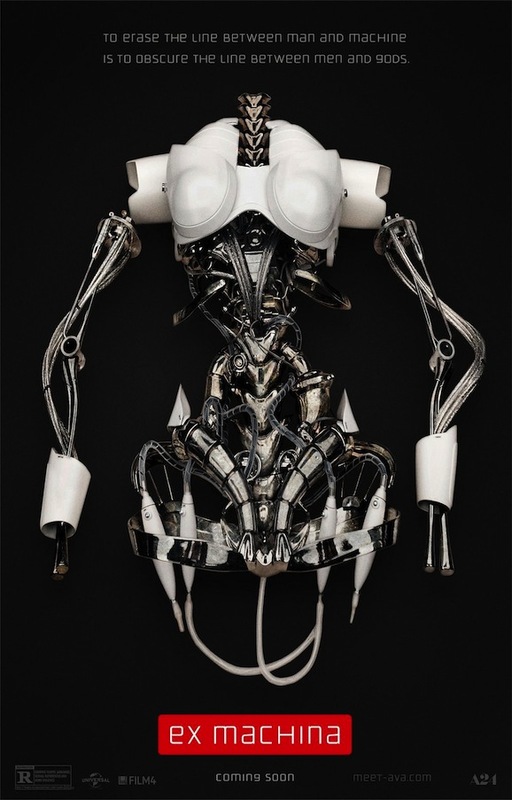 This gives you a look at what Ava looks like underneath that metal mesh shirt she’s wearing in the first image, and you have to admit that it looks pretty creepy with no head or hands or skin. 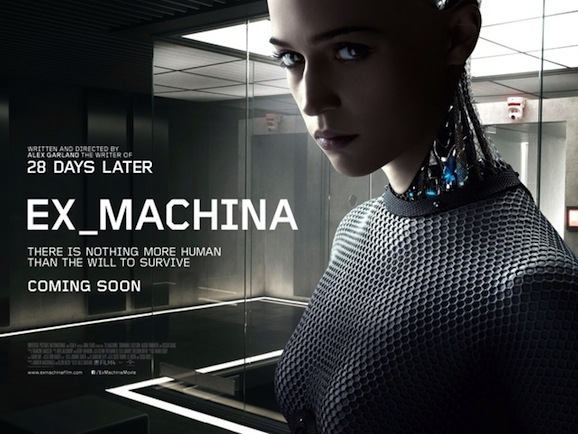 It’s still possible that Ex Machina could debut at one of the early year festivals like Sundance or SXSW to build hype leading up to the release, but right now there’s no word on if that’s going to be the case or not yet. We’ll keep you apprised of the situation, and in reality, a fest premiere doesn’t impact most of us in any way as we’ll all have to wait until April to set eyes on this regardless. But at least now we have a date to circle on our calendar.